Chicago will celebrate local craft breweries this summer with a series of Friday night beer festivals. CHICAGO (WLS) -- Chicago will celebrate local craft breweries this summer. 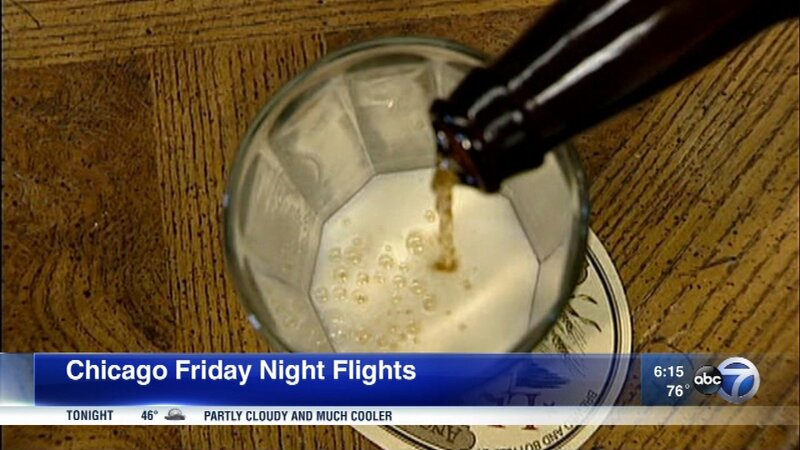 On Thursday, Mayor Rahm Emmanuel announced "Chicago Friday Night Flights," a series of beer-tasting festivals across six different neighborhoods. The six beer festivals will feature more than 60 breweries from throughout Chicago. Tasting passes will be sold at each event, which will also feature local food and music. The series begins on Friday, June 2, in Pilsen and concludes on August 25 in Ravenswood. Argus, Lagunitas, Lo Rez, Mad Mouse and Whiner breweries are a few of the brewers scheduled for the June 2 festival. For more information on participating breweries and to purchase tickets, go to www.chicagofridaynightflights.com.